Pacific Hydraulics stocks or supplies hydraulic pumps from industry leading brands such as Danfoss and Bosch Rexroth. Types of hydraulic pump include axial piston pumps, vane pumps, gear pumps, bent axis pumps and more. As Australia’s leader in hydrostatic and mobile hydraulic component supply, we stock and supply a range of the excellent hydrostatic pumps from Danfoss, such as the 45 Series and H1 family of hydrostatic pumps. 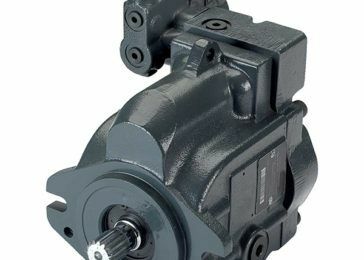 If you are looking for a hydraulic pump for a mobile application, visit our Hydrostatics product page for more on our offering of hydrostatic pumps and motors. Call us on 1800 786 511 or click here to enquire or request price and availability today.